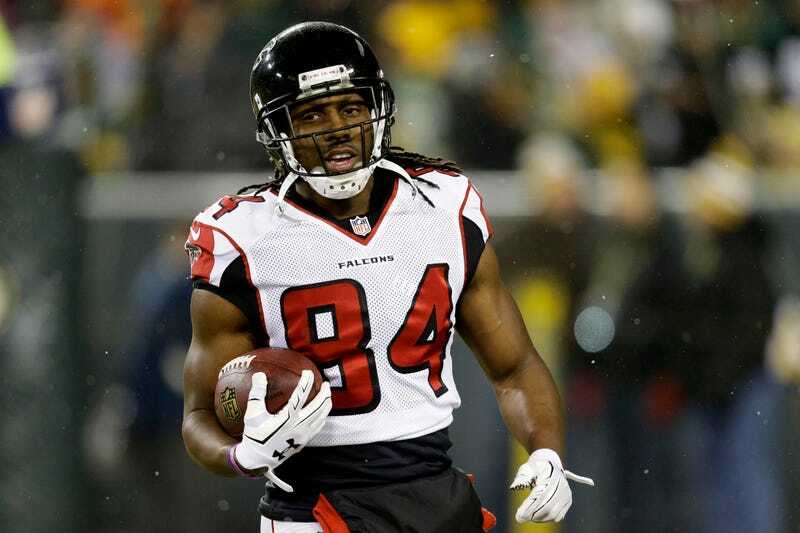 Roddy White’s release by the Falcons last week was not a huge surprise; it’s hard to justify a 34-year-old third WR with a $6 million-plus cap hit. But White’s an interesting case, because he didn’t precisely demonstrate that he can’t play anymore. Instead, he was simply phased out of the gameplan by first-year OC Kyle Shanahan. Now both White and his agent are publicly blaming Shanahan. “He wanted me to be out,” White said. There was talk throughout the season, especially after he publicly complained about his usage in October, that White was having trouble learning Shanahan’s offense. Not only did White say that the schemes were not too complex, but he accused Shanahan of costing the Falcons football games. Free agency kicks off at noon today with an official negotiating window before players can sign starting at 4 ET on Wednesday, and White is hoping to catch on—he believes he can play “two or three years.” So White’s comments now can be read as PR, a message to prospective employers that he can offer them more as a player than Shanahan allowed him to offer last season. And, you know, genuine bitterness at Shanahan for costing him a fairly lucrative contract year and any hopes of finishing his career in the place it started. “There is one reason Roddy is no longer with the Falcons and it is Kyle Shanahan,” said Jonathan Feinsod, White’s longtime agent, on Sunday to The Atlanta Journal-Constitution. Ultimately it’s tough to argue that the Falcons didn’t make the right choice. It’s also barely disputable that Shanahan’s role for White didn’t make it much of a choice at all.